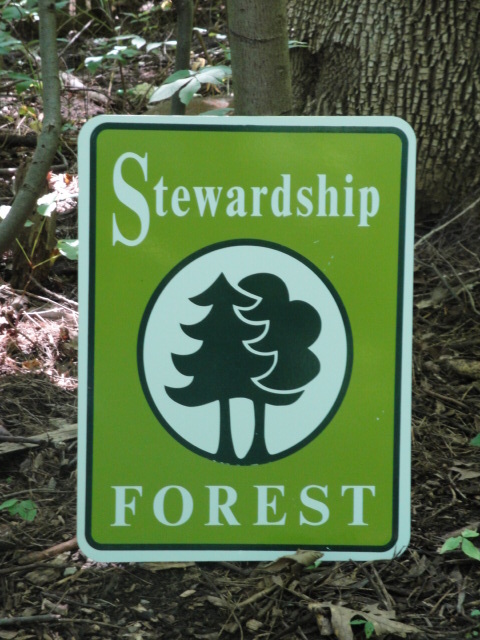 IS NOW A STEWARDSHIP FOREST ! The Forest Stewardship Plan for Monocacy Hill has recently been completed by Natural Lands Trust (NLT) and was approved by the Amity Township Board of Supervisors on April 1, 2009. Describing Monocacy Hill as an "ecological gem" NLT recommended various park improvements and stressed the need for restoration (not further disturbance) of the forest . The township, along with MHCA and other community volunteers will now work on implementing the recommendations in the plan. Anyone who wishes to join in fighting invasive plant species and restoring the health of the Hill, please contact us and volunteer your time or contribute by becoming a member. Forest Stewardship Plan - plan done by forest landowners to help them manage and maintain their property. This type of plan was done to determine the future use, management and maintenance of Monocacy Hill Recreation Area. The Forest Stewardship Plan will be a valuable tool to help maintain and manage this land for the health of the forest and recreation for future generations. Amity Township formed a Forest Stewardship Committee to work on completing a Forest Stewardship Plan. Following the advice of the Pa Bureau of Forestry and other forest professionals , the committee gathered public input and researched current forest issues. In summer of 2008 Amity Township selected Natural Lands Trust to write the plan for Monocacy Hill. The plan includes a number of suggestions for park improvements and recommendations on work to restore the health of the forest. Preserve the forested mountain aesthetics of Monocacy Hill to provide AMity Township and area residents with a unique recreational and educational facility. Maintain the health of Monocacy Hill and its watershed area following a sound plan for managing its biodiversityand health using volunteers and professionals to control invasive species, by allocating any funds that may be generated as a byproduct of this process to be used exclusisively for Monocacy Hill. Plan for the safety of the environment and those who come to enjoy it, while still allowing for the inherent risks associated with enjoying a natural, rugged area.